The federal Clean Water Act (CWA) regulates and requires permits for point-source discharges of pollutants to jurisdictional waters, also known as waters of the U.S. or “navigable waters.” This jurisdiction has long been interpreted as covering surface water bodies, but there has been divided opinion on whether groundwater (water contained in subsurface aquifers) could or should ever be regulated under the CWA. Complicating the issue is the fact that groundwater can eventually mix with surface water (where it is hydrologically connected), allowing pollutants discharged into groundwater, which is not clearly included in the definition of navigable waters, ultimately to affect surface waters, which clearly fall under the CWA’s jurisdiction. National Pollutant Discharge Elimination System (NPDES Permit and Groundwater Discharge Recent court cases and a recently published request for comments from the Environmental Protection Agency (EPA) may be solidifying changes long in the making to include at least some pollutant discharges to groundwater under CWA jurisdiction. The result could lead to another layer of regulation for those who discharge pollutants to groundwater, such as the owners of underground storage tanks, pipes and injection wells. EPA has repeatedly stated that discharges to groundwater that is hydrologically connected to surface water may be regulated under the CWA, but the agency has not issued a rule actually requiring it. This ambiguity may be resolved by the recent actions of EPA and the courts. 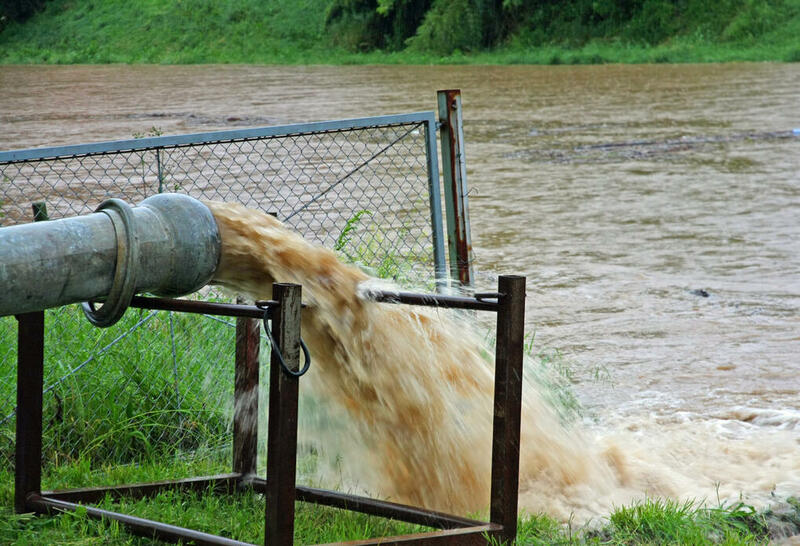 Three recent court cases have addressed this issue and to a greater or lesser degree concluded that at least in some circumstances, discharges to groundwater can be regulated under the CWA NPDES permit programs. In August 2017, the U.S. district court for the Middle District of Tennessee found CWA jurisdiction over discharges to groundwater “if the hydrologic connection between the source of the pollutants and navigable waters is direct, immediate, and can generally be traced.” That holding is in dispute and may be subject to review by the Sixth Circuit Court of Appeals. In the meantime, two other circuit courts have also found CWA jurisdiction over discharges to groundwater, setting up two other potentially contestable standards that don’t exactly align with the Tennessee Middle District decision. In a case involving discharges to groundwater that found their way into the Pacific Ocean, the Ninth Circuit Court set a much broader standard, requiring that the “pollutants are fairly traceable from the point source to the navigable water” while removing the requirements for a “direct, immediate” connection to surface water (i.e., the discharge to groundwater can take place some distance from the surface water that it ultimately affects). And the Fourth Circuit Court also has recently weighed in on the issue in a case involving a ruptured oil pipeline within 1,000 feet of affected navigable waters, agreeing that a direct connection of the point source to surface water is not necessary and holding that while “a discharge through groundwater does not always support liability under the [CWA],” it will when there is “a direct hydrological connection between ground water and navigable waters” and the discharge is traceable from the point source, through groundwater, to navigable waters. Check back next week for Part Two, which picks up with discussion of EPA's recent actions to clarify CWA jurisdiction over groundwater. Specifically, the Environmental Protection Agency (EPA) has authority under the CWA National Pollutant Discharge Elimination System (NPDES) to require permits for point sources (outfall pipes, etc.) that discharge to navigable waters. The CWA defines “navigable waters” as “the waters of the United States, including the territorial seas,” which generally includes surface waters. The CWA also expressly allows states to operate their own water pollution prevention programs, and EPA can authorize state-equivalent NPDES programs, although EPA retains oversight and enforcement authorities. Many states already regulate discharges to groundwater under their laws—i.e., without any connection to surface water. This blog entry discusses issues and developments related to the federal CWA only. These activities are currently regulated in most instances under the Resource Conservation and Recovery Act (RCRA) and state-equivalent hazardous waste programs, and as indicated in n.2, above, some states already regulate discharges to groundwater under their own laws. EPA has made these broad, unenforceable statements in rulemaking, permitting and guidance documents dating back to 1990; however, these statements were never the actual focus of a rulemaking or adjudication. 83 Fed. Reg. 7126, 7127 (February 20, 2018). Tennessee Clean Water Network v. Tennessee Valley Authority, No. 3:15-cv-00424 (M.D. Tenn. August 4, 2017). Hawai’I Wildlife Fund, et al. v. County of Maui, No. 15-17447 (Ninth Cir. February 1, 2018). Upstate Forever, et al. v. Kinder Morgan Energy Partners, L.P., et al, No. 17-1640 (Fourth Cir. April 12, 2018). Note that the point source here was only 1,000 feet from the affected navigable water, and the Court also states its holding twice in slightly different language: “… we hold only that an alleged discharge of pollutants, reaching navigable waters located 1,000 feet or less from the point source by means of groundwater with a direct hydrological connection to such navigable waters, falls within the scope of the CWA.” Id. at p. 26 of 49.